Reassurance shield after the 35/279 junction as 279 silently joins the highway. 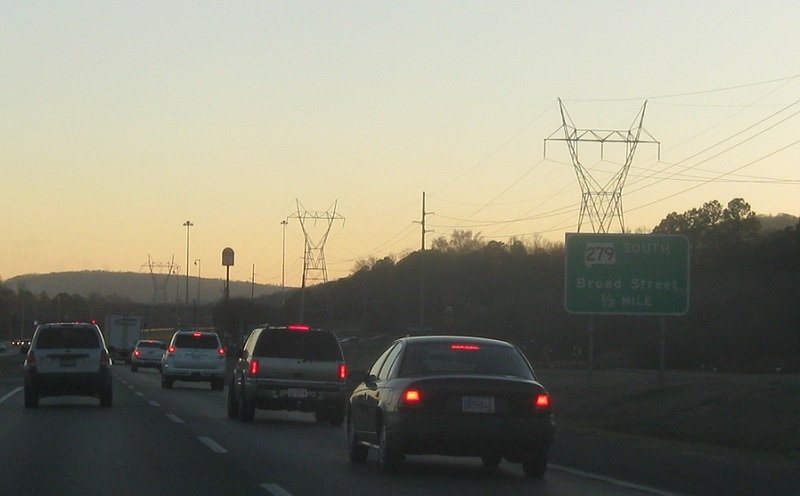 In a half mile, SR 279 will split again. 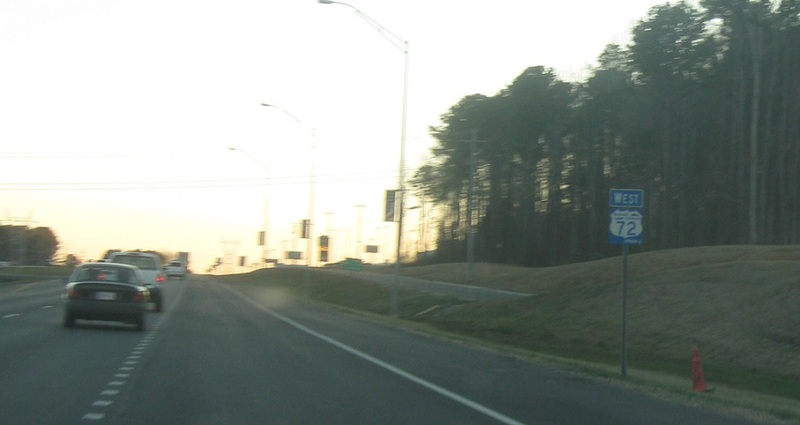 Exit for 279 south towards SR 79 along old US-72. 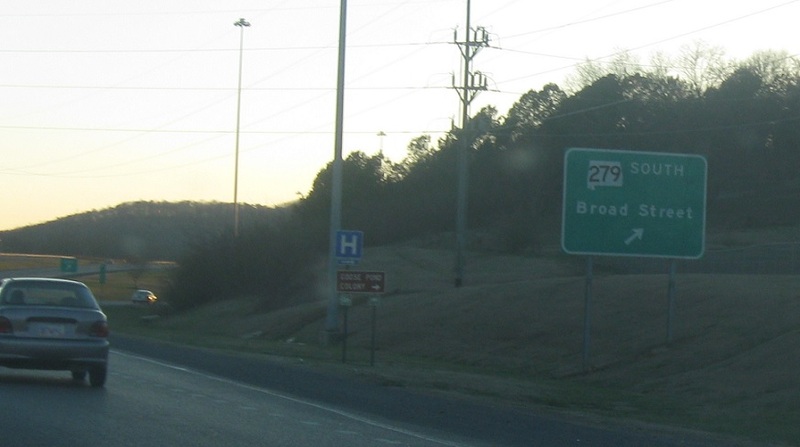 Follow Broad St back up into Scottsboro.